It Takes Many Hands and Hearts. Homeless parents with dependent children represent the height of vulnerability. Not only do these unfortunate caregivers have to meet the needs of their children, they also need to find the time and resources to get back on their feet. That is why we offer our program of supplemental assistance leveraged from our network of interfaith congregations. This safety net of food, shelter and support services allows our guests to put their energy into finding work and securing affordable housing. But most importantly, it provides the safety and security they need for their families while they deal with these temporary difficulties. Through this partnership, roughly 80% of our families succeed in securing some form of housing. 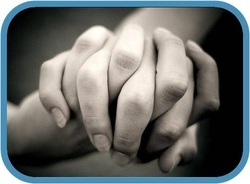 Family Promise operates under the model of "hospitality". 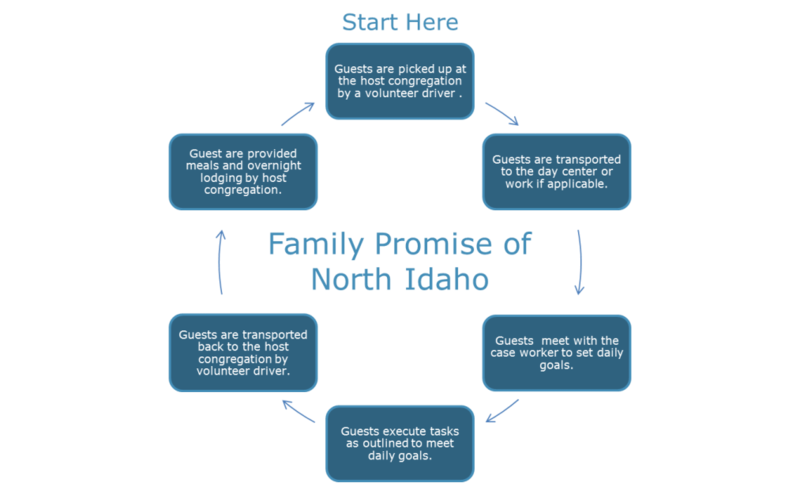 This model consists of host congregations and support congregations who make up our hospitality network. The host congregations with supplemental help from the support congregations trade off providing temporary housing and meals to families in crisis. These services are offered freely at no charge to the families. Volunteers from the member churches act as the program "hosts," and families staying in the network are our "guests." The support and accommodations provided by our hospitality network allows our guests to focus on rebuilding their lives. We assist this process by offering counseling, daycare, and office facilities. The program includes job search assistance and guidance regarding other support services which are available in our area. The services are delivered through a professionally staffed Day Center which operates daily with the supplemental support of volunteers. Everyone who works with our guests meet their	needs	with	a spirit of warmth and compassion.